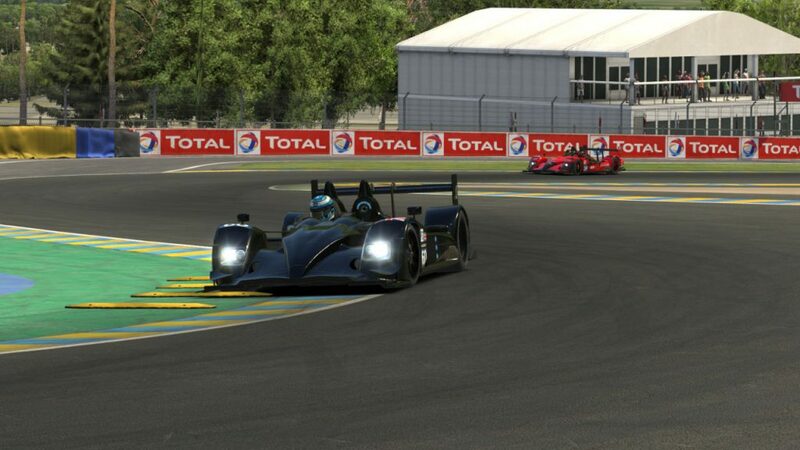 For the only time this NEO Endurance Series season, teams showed up to the track one week early to qualify on Sunday afternoon to set the grid for next weekend’s RaceSpot 24 Hours of Le Mans. 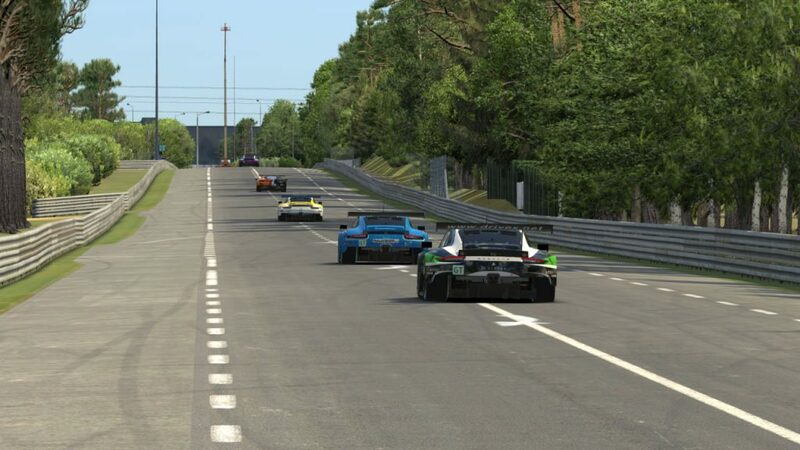 Each class had just 30 minutes to record their fastest times in a trio of group qualifying sessions, and with clear skies over the virtual Circuit de la Sarthe, the strategy was less about waiting for a cloud and more about finding open track — or for a few crafty GT teams, a drafting partner down Le Mans’ long straightaways. Track temperatures of more than 35°C made putting a perfect lap together difficult, but the three pole-sitting teams made the most of their attempts and will lead their classes to the green flag next Saturday. Move over, Kamui Kobayashi. There’s a new fastest man at Le Mans, and his name is Marcus Hamilton. The driver for the points-leading Thrustmaster Mivano Racing #3 team put his Porsche 919 Hybrid on the pole position with a lap of 3:13.983, beating Kobayashi’s track record of 3:14.791 set in 2017. Three teams in total came in under that real-world record time. 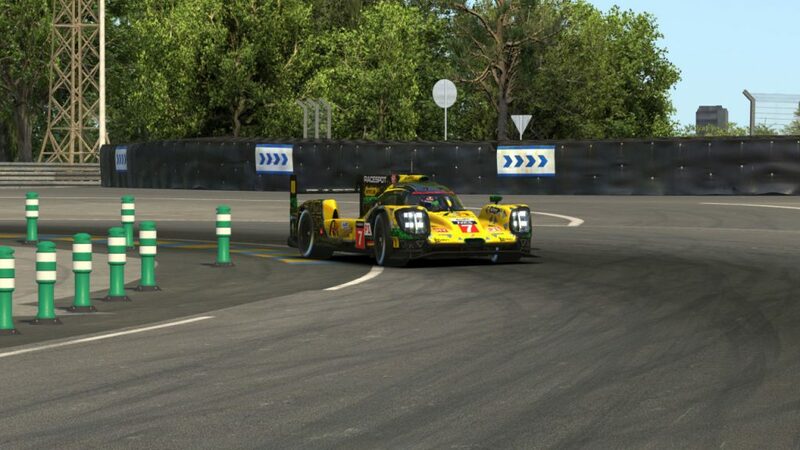 Philip Weber’s lap of 3:14.028 put SimRC.de on the front row alongside Mivano, and Sai Andra recorded a 3:14:371 to land Wyvern Racing on the second row alongside the Spa-winning Race Clutch P1 team. SimRC’s Philip Weber tackles Mulsanne corner in qualifying. 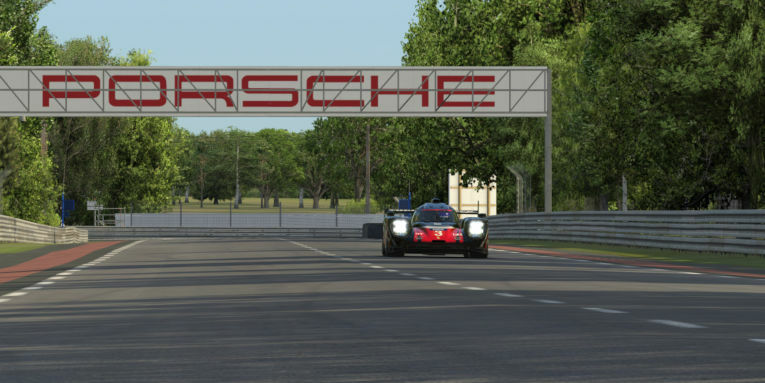 One team absent from the front of the grid is Porsche Basel by Sorg Rennsport eSports, which will line up eighth after a late flying lap by Mike Nürnberg moved them inside the top ten. Along with Nürnberg, one of Basel’s qualifying kings this season has been Dominik Färber. Prior to this round, though, Färber moved to the AVA Vervatic team and qualified their #23 car in sixth, just behind Mivano’s #4 entry. 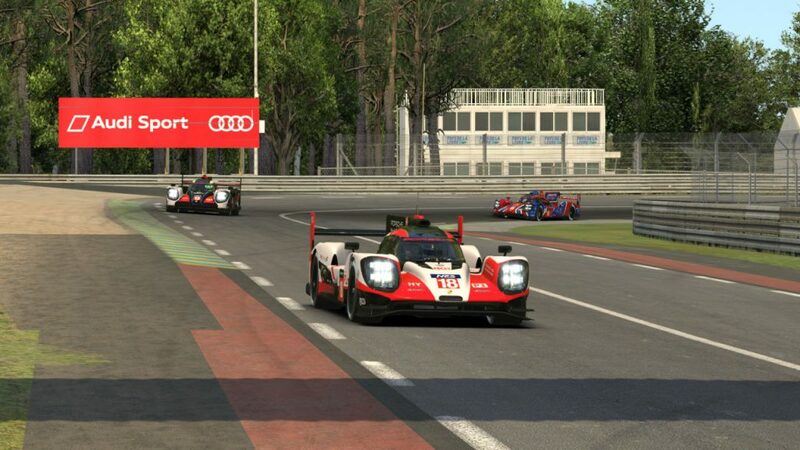 The two Audis in the field — the season-long NEO entrants from Virtual Motorsport and the Oceanic Endurance Championship winners from ASTRO Gaming Altus Esports — will both start inside the top ten and hope to pull from the German make’s winning legacy at Le Mans. Sorg leads a P1 pack through Indianapolis. Mivano’s two teams head onto the circuit at the start of the session. As temperatures steadily dropped during the 30-minute P2 qualifying session, the teams involved were in a race to find extra pace on the increasingly grippy track. However, given their performance all season, it should be no surprise which teams led the way. The top three teams in the standings will be the first three teams on the grid for the start of next Saturday’s race, although in reverse order of their current points positions. A blistering session-ending lap of 3:30.476 by Yohann Harth put Apex Racing Team on pole for the second time this season but the first since the opener at Sebring. For the third-place team in points, that starting spot could offer an early advantage in a long race. Yohann Harth crosses the kerbs on his pole-winning lap. Also recording a quick time late in the session was Ronny Nunez from Torque Freak Racing. They will join Apex on the front row next Saturday. The points leaders from AVA Vervatic led the field in much of the session, but they couldn’t improve their lap of 3:30.908 and will line up in third. However, it wasn’t from a lack of effort, as Pascal Stix had a mid-session spin at Indianapolis while searching for extra speed. One of the invitational entries on the grid, the DGFX Racing League P1-class champions from Kinetic Racing Velocity, looked equally comfortable behind the wheel of a P2 prototype. They were the best of the rest in qualifying and will start fourth. Several teams hopeful of holding onto a top-eight points position — including TNT Racing, IRDK Endurance, and Team Heusinkveld — will start in the top eight, while the current eighth-place team from Schubert Motorsport will have to defend its automatic season-six transfer position from eleventh on the grid. Torque Freak will start second while AVA Vervatic will line up in third place. 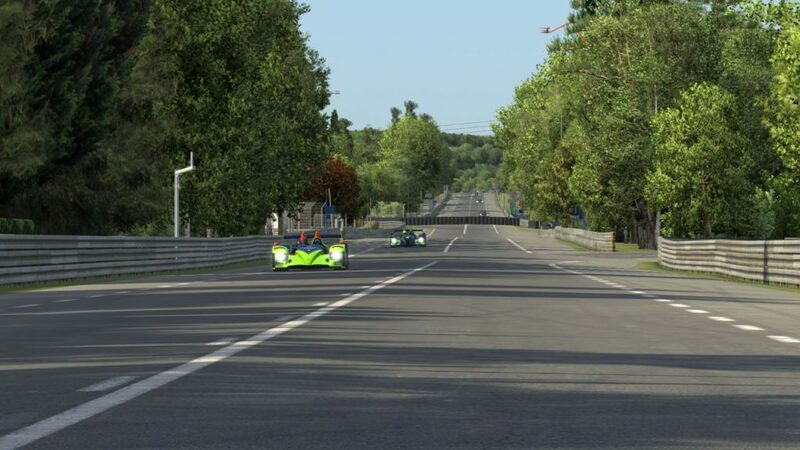 P2 entries fill the Mulsanne straightaway. 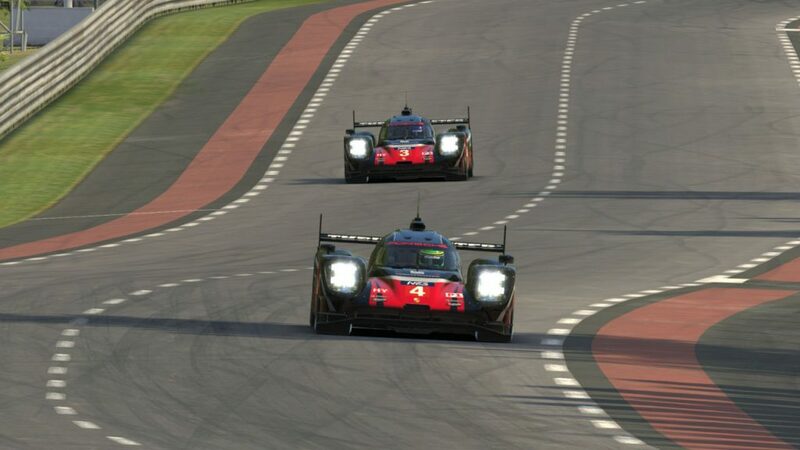 The biggest burden plaguing the GT points leaders from MSI eSports entering Le Mans has been their inability to finish first so far this season. However, they reversed that trend in qualifying on Sunday. Alejandro Sánchez put up a lap of 3:47.492 to top the charts as time expired, earning MSI the number one grid position and helping them begin the chase for the GT class championship on the best possible note. 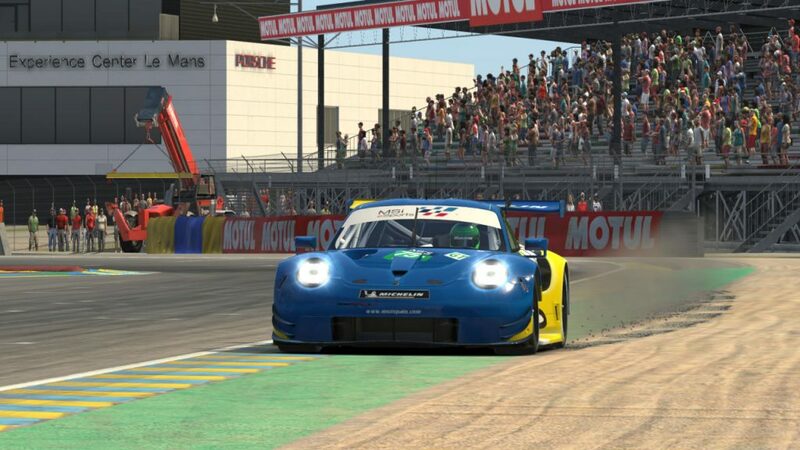 Their Porsche edged the top-placed Ford GT of CoRe SimRacing by 0.018 seconds, who will join them on the front row. 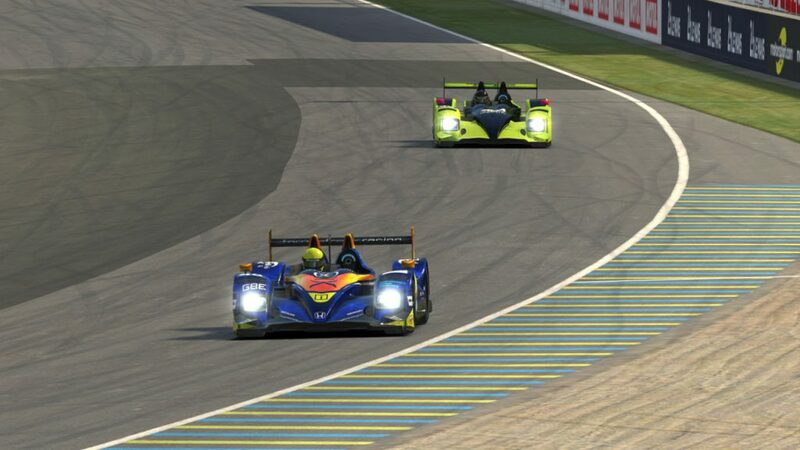 While CoRe has won twice this season, they turned to a new face in Le Mans qualifying, as the session marked the debut behind the wheel of former NEO prototype driver Carl Jansson. MSI’s Alejandro Sánchez uses every bit of the road to complete his pole-winning lap. The two teams on the second row were separated by just 0.001 seconds — a matter of centimeters over the course of a 13.63-kilometer lap — and they opted for very different approaches to get the job done. Third-place Euphoria Drivex Racing has evidently studied this season’s NASCAR group qualifying and used a similar strategy, positioning itself as the last car in a train of five to maximize its draft and its lap time: a 3:47.536 by Salva Talens that led the session early on. Meanwhile, Thrustmaster Mivano Racing chose to go it alone, as Anders Dahl ran solo around the circuit in his laps, including a 3:47.537 to barely miss out on a top-three starting spot. Euphoria lines up in a draft pack to gain some speed. Behind them, Williams JIM Esports had the two highest-placed Ferraris, with their #97 team led in qualifying by Guillem Escuder taking eighth place and their #96 driven by Aldo Massa set to start ninth. Logitech G Altus Esports, which enters Le Mans second in points, will have to make some passes once the race starts next Saturday. Yannick Lapchin could only manage tenth place in qualifying, putting him well down the grid from their title rivals from MSI and TRITON Racing, which qualified in sixth. A little over two seconds separated the 20 GT teams who recorded times. Two teams on the entry list — Odox Motorsport and OEC-invitee Trick Simsports — didn’t run a qualifying lap and will start at the back on race day. 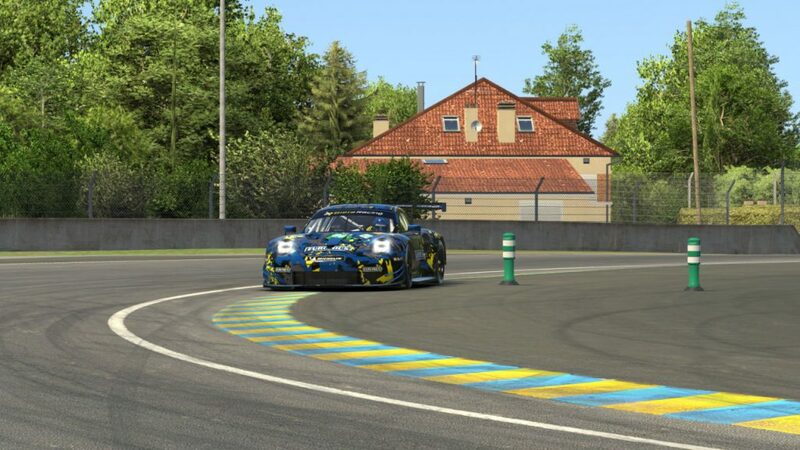 The Biela Racing Team EURONICS Porsches will start in fifth and fifteenth.